Dr. Turgay Isbir is the Director of Department of Molecular Medicine at Institute of Health Science at Yeditepe University. He received his B.Sc. and Ph.D degrees from Ankara University in the years of 1965 and 1969 respectively. Between the years of 1977-1978 he worked at the Department of Pharmacology in the Brain Research Council of Edinborough University as a Research Fellow. He was nominated to Assoc. Prof. in Biochemistry in 1979 in the Medical School of Cukurova University in Adana. Between the years of 1985-1986 he worked as a Research Fellow at the Department of Heamatology of The Children’s Hospital associated with the School of Medicine of the University of Pennsylvenia. 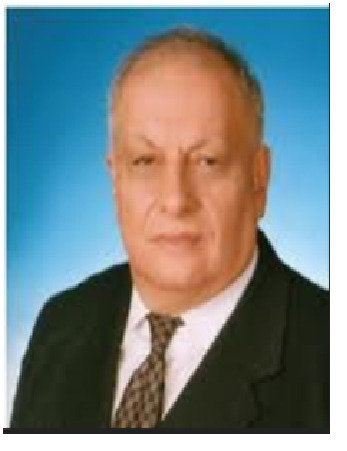 Dr. Ä°sbir became Prof. in Biochemistry in 1989 at Cukurova University in Adana. In 1997 he worked as a Visiting Professor at the Department of Molecular Medicine in the Mayo Clinic located in Rochester. He has been working at Yeditepe University since 2010 Institute for Experimental Medicine as a director. Currently his research interests are focused mainly on the relation between genetic polymorphisms and various types of cancer, lipid metabolism and genetic tendencies to cardiovascular diseases and diabetes in Turkish population. 5. Yüregir GT, Donma O, Dikmen N, Ä°sbir T, Cinar M: Population studies of hemoglobin S and other variants in Cukurova, the southern part of Turkey. Acta Haematol 50(4): 757-765, 1987. 6. Tükel S, Ä°sbir T : Kinetic properties of potassium stimulated ATPase purified from gastric mucosa. Z Naturforsch [C] 43:7-8 609-12, 1988. 7. T.Ä°sbir, M.Akbaba, S.Tükel. Effect of commercially available and herbal tea on the red blood cell membrane Na-K ATPase. J. Med. Res. 1(3): 130-133,1990. 8. T.Isbir, M.Erkisi, L.Tamer, S.VarÄ±nlÄ±, E.Kansu, F.Doran, E.Kahraman. Antitumour effects of Brassica olarecea var. Capitata and its effect on ATPase systems. J Exp Clin Cancer Res. 12(3): 167-172, 1993. 10. T Ä°sbir, L Tamer, M ErkiÅŸi, Y Kekeç, F Doran, S VarÄ±nlÄ±, A Taylor. Copper, zinc and magnesium in serum and tissues from patients with carcinoma of breast, stomach and colon. Trace Elements and Electrolytes 12: 198-203, 1994. 11. M.ErkiÅŸi, R.Turgut, M.Ünsal, T. Ä°spir, S.VarÄ±nlÄ±, R.KÄ±lÄ±çoÄŸlu. Adjuvant use of antiprolactin, antiestrogen and cytotoxic chemotherapy for breast cancer. Curr Therapeutic Research. 55(1):67-75, 1994. 12. T.Isbir, Y. Kepekci, L.Tamer, G.Yücebilgic, M.DemirtaÅŸ, S.Tükel, A.Taylor, M.Ä°sbir. Plasma copperlevels in anklylosing spondilitis patients with cardiovascular complications. Trace Elements and Electrolytes. 11:198-203, 1994. 13. T.Ä°sbir, G.Yücebilgic, L.Tamer, F.Baslamili, R.Kocak and A.Taylor. Zinc, copper, magnesium and sickle cell anemia. Trace Elements And Electrolytes. 12(2): 1995. 15. Ildan F, Oner A, Polat S, Ä°sbir T, Göcer AI, Kaya M, Karadayi: Correlation of alterations on Na(+)-K+/Mg+2 ATPase activity, lipid peroxidation and ultrastructural findings following experimental spinal cord injury with and without intravenous methylprednisolone treatment. Neurosurg Rev 18:1 35-44,1995. 19. Ä°sbir T, YÄ±lmaz H, Bihorac A, AkoÄŸlu E: Mild to moderate hypertension and Apolipoprotein E Gene Polymorphism. American Journal of Hypertension. Vol 10.7:827,1997. 20. Ä°sbir T, Taylor A, Tamer L. and KaleaÄŸasÄ±oÄŸlu F: Serum selenium levels of children living Adana, Turkey. Trace Elements and Electrolytes Vol 13 :136-137,1996. 21. Sönmez H, Süer S, Güngör Z, KökoÄŸlu E ve Ä°sbir T. Sialidase activities and sialic acid levels of liver and serum from streptozotocin induced diabetic rats. Diabetes Research,1996.